So I was going through some pictures from my recent trip back to Hong Kong and the strangest realization struck me. To be honest, this wasn’t the first time this happened to me. I came across a picture of my cousins and I with my grandma. 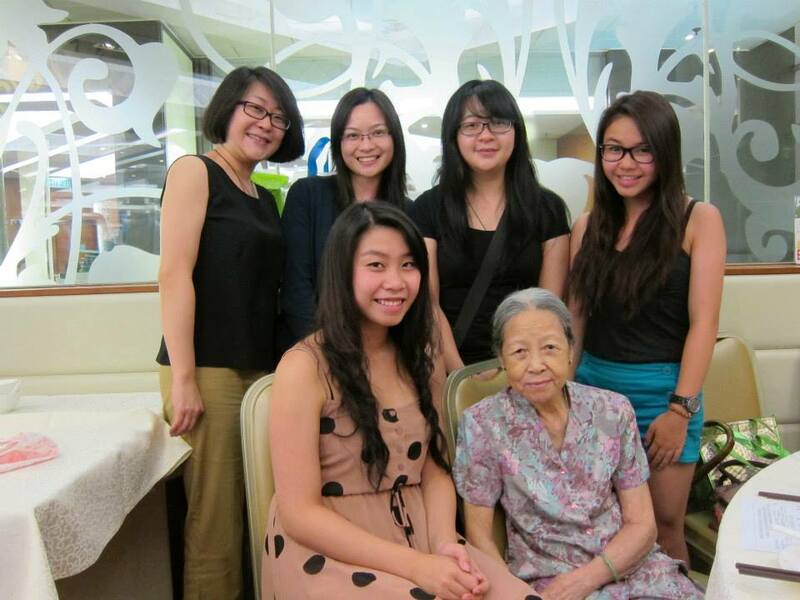 And I sit there thinking “Aw, that was nice, I really have to meet up with my grams more frequently next time I go back to HK.” But then I suddenly realized that she passed away last month. It’s felt surreal, and it still seems like she never died. The same thing happened to me in HK when I walked into my cousin’s apartment. I saw the black and white photographs on the red Chinese offering altar of my grandparents (on my mom’s side), as well as one of my aunts, and realized that all these people were no longer with us. Standing there, I felt sadness wash over me again. I couldn’t help but relive the moments of when I first found out they had passed away. It may have to do with the fact that I’m all the way on the other side of the world, but you would think that one would remember that they are now grandparent-less. However, I think it’s amazing that I have managed to forget about their passing. My interactions with them in the past, and how unique they are help me to keep them alive in memory. I guess with time, their image will fade, but in the meantime, I just wish that this could happen without getting me all depressed. While we’re on the subject of my grandma’s death, I really must bring up how my dad said goodbye to her. He couldn’t make it back to Hong Kong in time, so instead, his brothers and sisters set up a Skype call for the two of them in her dying moments. Now I’m not saying that a Skype call is at all the equivalent of being there, but it was because of the technology that we have now that he was able to say goodbye. My dad actually saw her heart monitor stopping, and was able to mourn with the rest of his siblings. Although I’m a digital native, I sometimes have a fear of technology, but when I see something like this happen, it makes me rethink my standing on the topic. Sorry to hear about loses of family Karen, I’ve been through these myself and yes, It is surreal and strange feeling when it becomes realization. Remember though, they are still with us deep within. Alive in our hearts, always in our memories and always watching you from above. Hm, yeah, I think there’s definitely a very surreal feeling to all of this. But you’re right 🙂 My grandparents are forever alive in my heart, and I should be glad I have that to hold on to! It’s just something we have to live with I think when we have family far apart. I can’t pretend I’m close to any of my extended family – I think there is too much of a culture gap – although I do admire my nan very much… but I remember when we were little and went to HK and Malaysia and how my mum cried so much when we went home and left her friends and family, because we could only afford to go there every 5 years or so. Now technology means they can keep in touch much better. It doesn’t sound strange at all that you forgot your grandmother passed away. She sounds alive in you. Exactly. I mean, again, it’s by no means a way to replace face to face interactions, but it does provide a very good alternative. It’s definitely very pricey to have to throw down several grand to visit a different continent, especially if it’s done frequently! So sorry to hear about your loss. I completely understand- my grandma in Hong Kong passed away too and sometimes I forget and think, “We should go visit her during winter break!” and then I remember. I guess they’ll always be there, in our hearts and watching us from above.